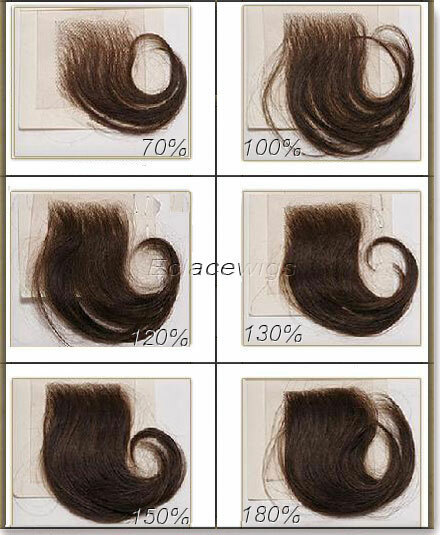 Choose your texture pattern,color,length from selling list or inform us custom specifications. Items are can be shipped within 1~3 business days! 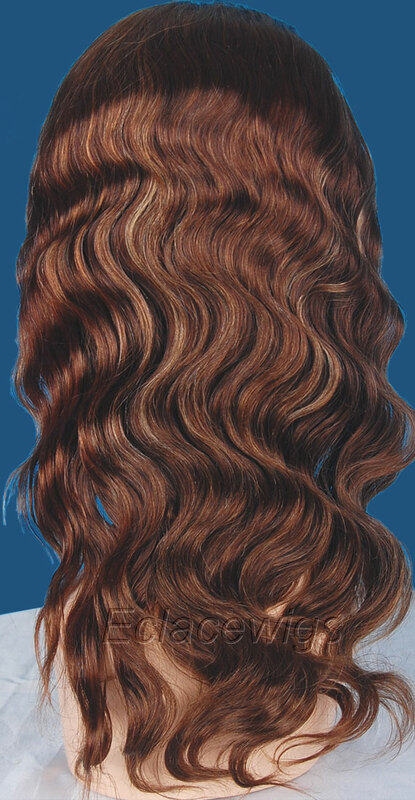 1.Last long,tangle free,no shedding,full lace with stretch lace at crown. 2.Length:from 8 to 24 inches are ready to be sent. 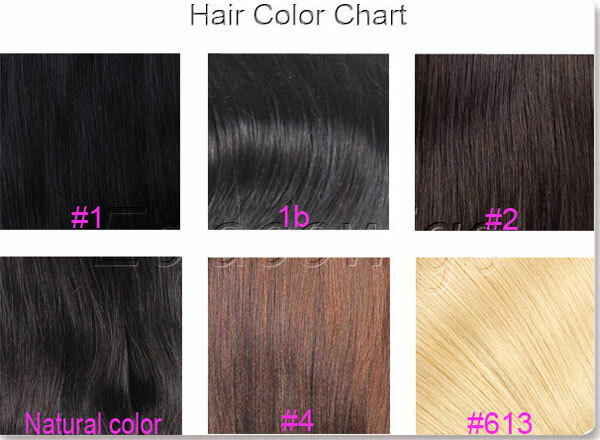 3.Hair Colors available :1,1b,2,4, Natural color,highlight color. Highlight colors should be added, for your reference,it is 4/27 highlight in the picture. 5.Size:small,medium and larger circumference,or custom made according to your speical measurements,that will be handcrafted to your designed specifications. 6.Bangs and highlights can be added on stock full lace wigs in around 8 days with extra cost $18. 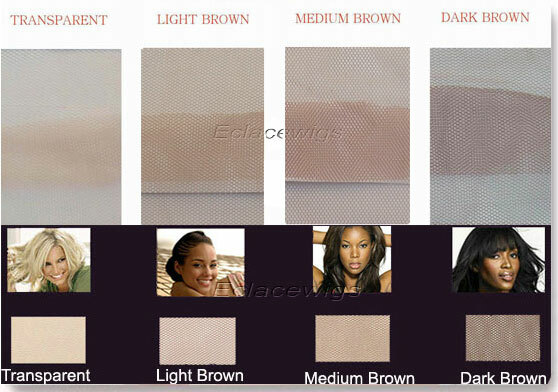 7.Lace color:light brown,medium brown,dark brown french lace. 8.Slightly bleached knots on the front hairline and on the perimeter,only color 1 can't be bleached.black colors can be bleached a little,but can't be bleached to white color. Choose the exact length and size! 1,Buyer can exchange or return in one week for this human hair full lace wig,but we don't accept returning after adding bangs or highlight. We can repair for free in one month.Please view the item description and pictures carefully and ask any questions that you have prior to making any purchase. We strive to represent all our items in a honest and accurate way, and we are sure that you will happy with our service and products! 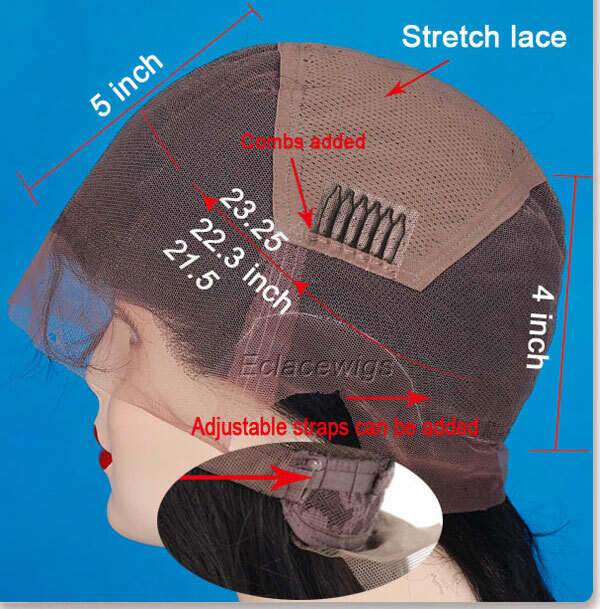 2,We can repair lace wigs for free and afford shipping in one month after the order is delivered,we charge for shipping and repairing after the order was delivered more than one month. 3.We can only accept returning by USPS,EMS or Postal office packages,please don't sent back by other shipping which is very expensive to you and very difficult to pass our local custom! Remark:hair may be damaged and cause shed if bleach knots too hard and incorrectly by yourself. Body Wave:It is a soft and silky unit made with high quality virgin indian hair that has been processed to a body wave texture that will give you a gorgeous and versatile look that is perfect for any occasion. 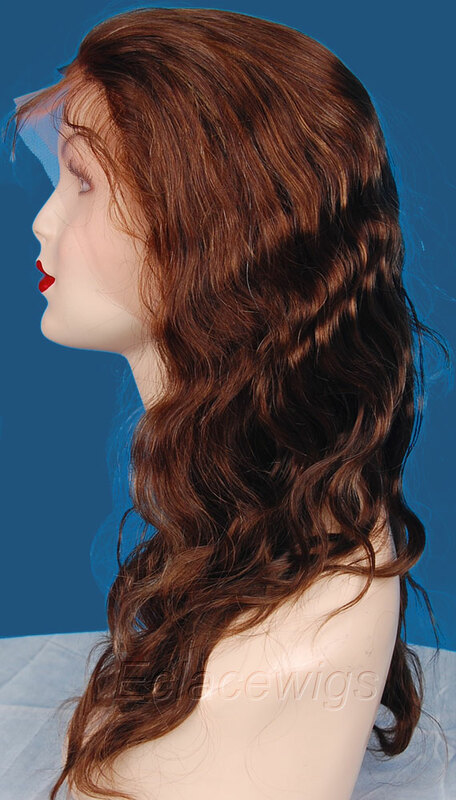 The body wave pattern can be flat ironed for a straighter style, curled with a curling iron,or wet set on rollers for a curlier look. The wave pattern can be washed and worn as is. The hair texture is soft, silky, and flows nicely.For your reference, the pictured unit is color 4/27 highlight and 18 inches long.You can get your own custom made unit in your desired shade and length.